The real estate shopping process begins well before you make your short list of dream homes and start attending open houses—and it can end there, too, if you're not prepared. 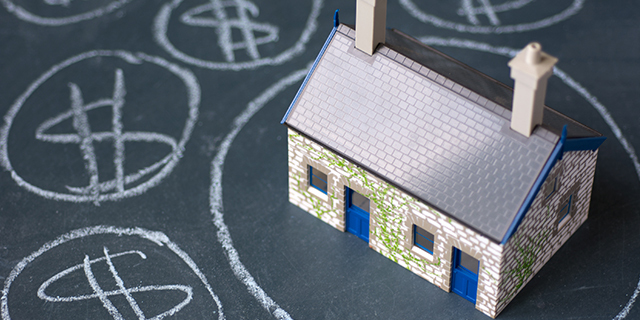 Many people worry about saving enough money for the down payment, but there's more to learn about the process of buying a home, requirements for loan approvals and how to overcome obstacles to home ownership. Weigh your financial history carefully, because with the right knowledge comes home-buying power. From being denied credit cards too many times to defaulting on debts, your credit score may haunt your sleep at night. And if you have a credit score under 700, you'll also face challenges when purchasing a home. For anything under 700, you can expect that your monthly payments will be higher should you find someone willing to approve a loan for fair or bad credit. Do you know the ins and outs of your credit score? Your FICO credit score calculation is based on your payment history as a borrower (35 percent), credit utilization of borrowed funds (30 percent), length of credit history (15 percent) and new credit and revolving credit mixes (10 percent each). Most negative hits stay on your credit for seven years. The key is to build responsible spending habits and a good history of borrowing. Get back on track: Focus on building good spending habits and setting up a budget. Don't ignore your monthly statements. Many companies are nice about arranging payments, even in small amounts of $5 or $10, for debt gone to collections and for when you get behind a month on utility bills. For older debt, attempt to settle the debt for a lower total payment. To rebuild credit, consider putting down a deposit on a secured credit card or applying for a Self Lender credit builder account, which is like a savings plan and is FDIC-insured. Some mortgage loans now only require a 3.5 percent down payment, but lenders who see a severely imbalanced DTI ratio (debt-to-income ratio) will not approve your risky, low-down-payment loan. This ratio is determined by dividing month liabilities (your minimum payments) by gross income to get the percentage, and your DTI ratio must fall below 43 percent for most lenders to approve you for a loan (there are exceptions—it's best to talk to a lender if you have questions). Get back on track: Reduce your monthly bills to afford a debt repayment plan. It's better to have a plan to slowly repay debt than to pay off debt altogether. That's because debt can't be paid off all at once to qualify, and monthly payments on revolving accounts or credit cards are still considered in your DTI. The bank wants to be sure you handle debt in a responsible way. Some lenders will offer reduced documentation loans in place of full documentation loans, such as stated income or no ratio loans that rely on verified assets. Your employment will be verified. Don't "fudge" the numbers. Are you self-employed or have unstable employment or irregular income? Do you have fewer than two years of income history? It's going to be tough to crack the mortgage approval nut in each case. Lenders will worry your income isn't steady enough to pay your mortgage on time. Even when approved, you'll face high interest rates due to being viewed as a financial risk. Get back on track: Outside of conventional loan routes, there are options to improve your likelihood of approval. Consider a stated income/stated asset mortgage (SISA), requiring little documentation. Employment and sources of income will still need to be verified. Tell the bank or lender what your income is, honestly. There are no-documentation loans where the lender won't verify any information, but these loans are very risky for both parties. A co-borrower who is a W-2 employee or a family member may also co-sign a loan to improve your prospects. Do I know and understand my credit score? Build up your credit. Make plans to pay off debt over a few months or however long you need. What is the maximum amount I'm willing to spend on a home? As a general rule, multiply your salary by two or three. Don't forget home closing costs. Adding 10 percent to the total is a good way to get a sense of the real cost. What down payment amount can I afford? The ideal amount is 20 percent, but FHA loans that are government-backed are an option, with 3.5 percent down. What maximum total payment can I afford monthly? This is the time to look at your income and how much debt you have to pay. Multiply your total income monthly by 38 percent. This is the figure that lenders expect you should spend on housing and additional debt. Total up your minimum monthly payments on any credit card debt and subtract this from the previous number, which gives you the monthly mortgage payment lenders will feel comfortable with. Don't give up on your dream home! Instead, ask yourself these questions and answer them truthfully. Set realistic goals and go step-by-step as you build a customized plan to buy a house. Don't let the red tape hold you back, because purchasing a house is one of the most fulfilling long-term investments you'll ever make.